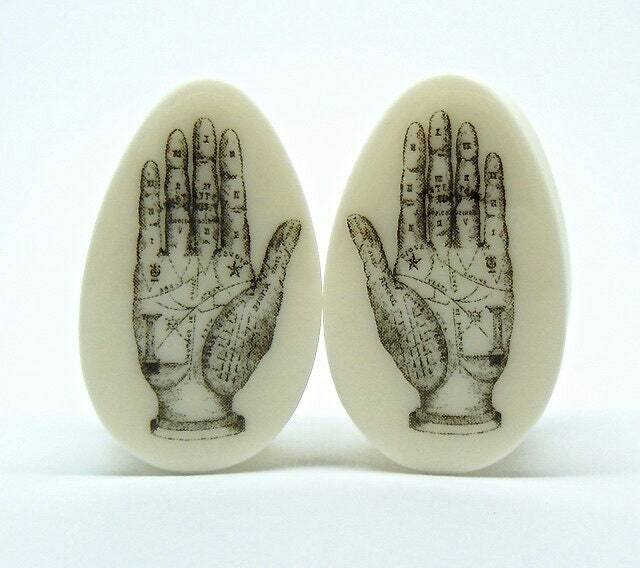 Palmistry design, mirrored for the perfect pair, on handmade bone composite double flare teardrop / oval plugs. 1" (25mm) pictured. 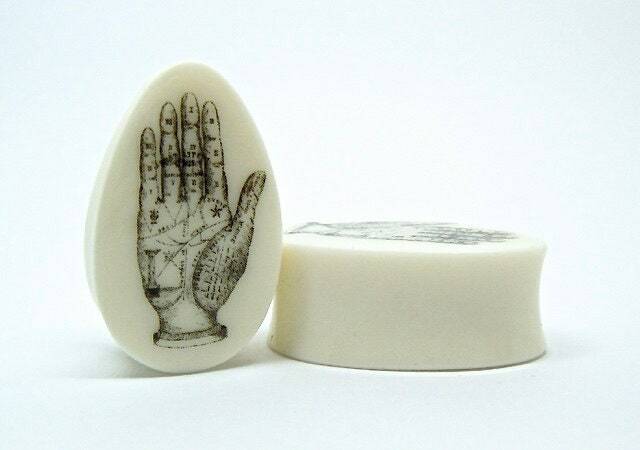 Due to the nature of hand carved products the shape can vary between teardrop and oval.